with a range of linings, only one of which is cement mortar lining. 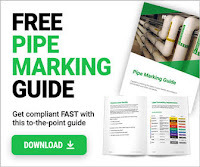 Table A summarizes the mortar lining application methods, curing methods, and mix proportions used in the manufacturing plant and in the field for lining steel pipe and fittings. Table B shows the factory-applied mortar lining thickness requirements for steel pipe and fittings. Table C shows the typical field-applied mortar lining thickness requirements for steel pipe and fittings. In the case of factory-applied mortar linings, it is necessary for the contractor to mortar the inside gap at the joints after installation. Field-welded joints, for instance, will have had the mortar lining held back a few inches at each end to avoid damage due to welding. Figure A illustrates this example showing a steel pipe lap-welded slip joint. The installing contractor must hand-place the mortar to these uncoated surfaces after welding. This mortar shall be mixed using 1 part portland cement to not more than 3 parts fine aggregate by weight. Use only enough water to obtain the required workability. In the case of field-applied mortar lining, the lining is continuous across the joint, and no further work is needed at the joint.